A will is a document created by an individual that sets out how the individual wishes to distribute their assets on death. The document also generally appoints an ‘executor’ who is the person nominated to carry out the administration of the estate. Anyone over the age of 18 years and of sound mind should have a valid and up-to-date will. If you die without a valid will, your assets will be distributed according to a legislative formula. Can I use a DIY or post office Will kit? We do not recommend that you use DIY or post office Will kits. Most people underestimate the complexity of their personal and financial circumstances. “Home made will are a curse. Occasionally where the assets of a testator are limited and where the beneficiaries are not in dispute no difficulties may arise in the administration of an estate. Flaws in the will can be glossed over and the interests of all parties can be reconciled. But where, as here, the estate of the deceased is substantial, the Will is opaque and there is no agreement among the beneficiaries, the inevitable result is an expensive legal battle which is unlikely to satisfy everyone”. “All of this could have been avoided if the testator had consulted a Lawyer and signed off on a Will which reflected his wishes. There is no question but that engaging the services of a properly qualified and experienced lawyer to draft a will is money well spent”. This therefore demonstrates that making a small saving now, can lead to big legal and emotional expense down the track. Can any lawyer draft my will? Although technically any lawyer can draft a will for you, seeing a lawyer for a new will is a bit like seeing a doctor, it is always best to consult a specialist. 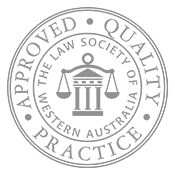 A lawyer who practices predominantly in wills and estates is well placed to advise you on estate related matters and is often able to share their experiences with you. These discussions often lead clients to consider their instructions further, particularly from a practical perspective. Furthermore, often in our practice we come across wills drafted by “all rounder” lawyers that are deficient and in some cases invalid. At times they purport to dispose of assets not actually owned by the testator or assets which are jointly owned. Ultimately, such wills result in disputed estates and many unhappy parties. Although a will can remain valid indefinitely, a review every 3-4 years is recommended. It is important that reviews are also conducted whenever your circumstances change, if you decide to alter your beneficiaries or if you buy or sell an asset. Regular reviews of your will ensure that your intentions are still accurately reflected. What happens to my Will if I marry or divorce? Marriage and Divorce generally cause an existing will to be revoked. If you are planning on getting married or divorced, your new will should be made in contemplation of such an event to ensure that it is not subsequently invalidated. Why is it important to choose an appropriate executor? An executor should be someone who is likely to survive you and be willing and able to handle your affairs after your death in a diligent and appropriate manner. Should I accept appointment as executor for my friend or family member? If a person has appointed you to act as the executor of their estate, you should take independent advice prior to accepting such an appointment. Acting as executor is often a cumbersome job and executors can at times be held personally liable for their actions. If you do not wish to accept the appointment, it is possible to “renounce” your appointment. Renouncing an appointment is much more difficult after probate has been granted. What happens if I die and I don’t have a will? If you die without a valid will in place you are said to have died ‘intestate’. In such cases the assets belonging to you at death are distributed according to the Administration Act. The Act sets out a specific formula for the division of your assets depending on your circumstances as at the date of your death. It is possible that such laws will not be consistent with your wishes and consequently those who you wish to benefit from your estate might not do so. For example, sometimes children benefit from assets of a deceased parent’s estate upon turning 18, even though the other parent is still alive. On what grounds can my Will be contested? the testator was not of sound mind or acted under pressure from others when making their will. The above list is not an exhaustive, however it summarises the key challenges in estate matters. Can I avoid a challenge to my will? Although it may not be possible to avoid a challenge to your will, you are able to mitigate the risk of a challenge being made by ensuring that your will is up to date and has been drawn up by a qualified lawyer who has a solid knowledge of estate related matters. Can I disown a beneficiary in my Will? In WA there is legislation in place giving certain beneficiaries the right to challenge a Will if they feel that inadequate provision has been made for them out of the estate. It is not possible to draft a will which states that a beneficiary is not entitled to challenge the estate. If you are wishing to disown a beneficiary you need to speak with a lawyer who will advise you of the steps you may wish to take to reduce the risk of that happening. Can my ex partner challenge my will? In some cases, ex spouses who are in receipt of spousal maintenance as at the date of death are entitled to claim against your estate. If you are concerned about your ex-spouse making a claim on your estate, you should speak with a qualified lawyer. Can I prevent my children from inheriting assets at 18 years of age? Most people do not wish to leave assets to their children at 18 years of age for fear that they will squander their inheritances or be taken advantage of. If you wish to defer the age at which your children take control, you ought to speak with a qualified lawyer who can discuss options with you such as testamentary discretionary trusts. What is the difference between an Enduring Power of Attorney and a will? An enduring power of attorney appoints a person or company to manage your assets on your behalf whilst you are alive (though perhaps incapacitated) and is a separate legal document. A will addresses your assets only when you have passed away. Everyone that owns assets ought to have an enduring power of attorney. If you lose legal capacity due to accident, illness or old age and you have not signed an enduring power of attorney, then someone will need to make a application to the State Administrative Tribunal for the appointment for an administrator for you. The person SAT appoints, may not be the person you would have appointed and furthermore, the Public Trustee may be appointed where no suitable family member or friend exists. Can I sign a document to say I do not wish to be resuscitated? In WA you can prepare an Advance Health Directive in which you express your intentions for medical treatment in the event you are unable to do so yourself at the time. You should consult a lawyer and your doctor prior to signing an Advance Health Directive.